The EUROCOM P7 Pro 17.3” Mobile Workstation supports a full line of MXM 3.0b based NVIDIA Quadro K5100M, K3100M and K1100M professional graphics and has Intel® Core™ i7-4700 Desktop Processor Series from an Intel Z97 Express Chipset and LGA 1150 socket. “The EUROCOM P7 Pro Mobile Workstation provides a platform where professionals can replace their aging desktop workstation and underpowered laptop with one system. The display is also big enough so there is no need for an external monitor. The EUROCOM P7 Pro is all a professional needs” Mark Bialic, Eurocom President. An innovative 7 pipe, single copper heat-sink design, for both the CPU and GPU, was designed for enhanced cooling capabilities in the small form factor chassis to allow the the P7 Pro to support high performance NVIDIA Quadro K5100M and Intel Core i7-4700 Desktop Processor series components. 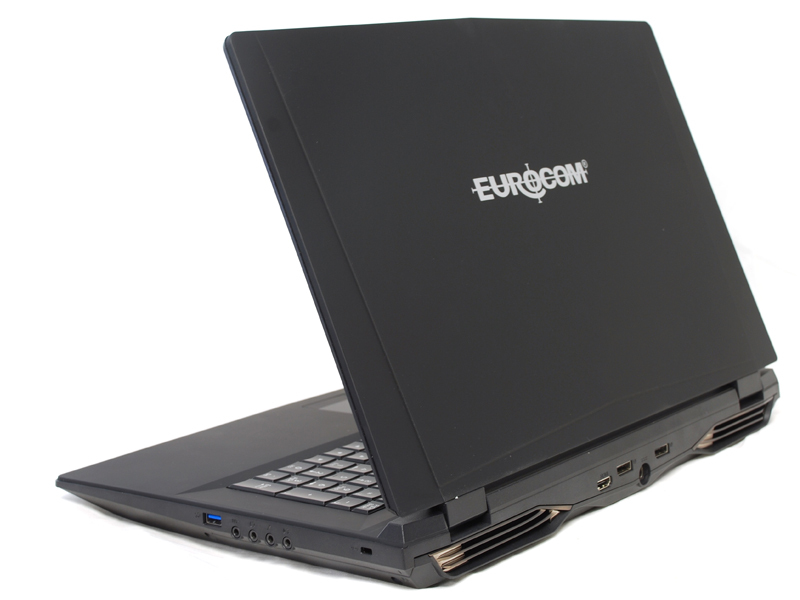 “The EUROCOM P7 Pro is another impressive addition to our line of high performance, fully upgradeable Eurocom Mobile Workstations. Built to offer unmatched performance, capability and configurability with performance from socket based desktop Intel Core i7 or Intel Xeon processors and NVIDIA Quadro MXM 3.0b based graphics combined with up to 32 GB of memory and 5.2 TB of storage.” Mark Bialic, Eurocom President. Storage comes by way of four drive bays, two M.2. SSD slots and 2 standard drive bays for up to 5.24 TB of RAIDable storage. PCIe Solid State drives are supported for enhanced storage performance. The EUROCOM P7 Pro is equipped with a Trusted Platform Module 2.0 (TPM), finger print reader and Kensington lock port to keep crucial data and intellectual property secure. Eurocom also offers professional colour calibration services to ensure every one of those 2 million pixels are accurate as possible. The P7 Pro supports beautiful 17.3” 1920x1080 Matte or Glossy displays as well as eDP or LVDS displays so customers can get the perfect display for their needs. Heavy Duty ABS plastic is used in the chassis to provide a very rugged, yet sleek case that is perfect for professionals and enthusiasts alike. A wealth of connectivity is offered so users can integrate their new P7 seamlessly into their lives, including: 4x USB 3.0, 2x Mini Display Ports, 1x HDMI.